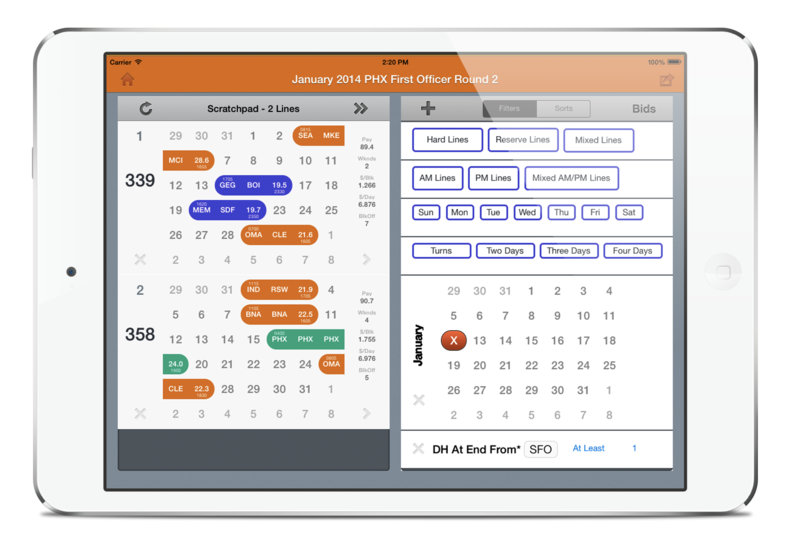 The only bidding app built specifically for the iPad and designed for Southwest pilots and flight attendants. Over 30 sorts and filters contain literally millions of possible combos, and you can save your favorite sort parameters as a preset to cut your bid time down to minutes. All for the monthly price of a cup of coffee. Southwest Airlines is a registered trademark of Southwest Airlines Co. This app is not endorsed by Southwest Airlines. iPad is a registered trademark of Apple Computer, Inc. © Copyright 2013-4, Vector Victor Ventures, LLC. All rights reserved.